Bolton Wanderers head to Derby County this afternoon knowing that another defeat will effectively confirm their relegation to League One. The situation at Bolton is nothing short of a joke. Players still haven’t been paid their wages for March, the chairman has apparently disappeared to the US, a rumoured takeover doesn’t look anywhere near close to happening, the unpaid bills are mounting up, and another date with the High Court is edging closer. On-field matters aren’t much better. 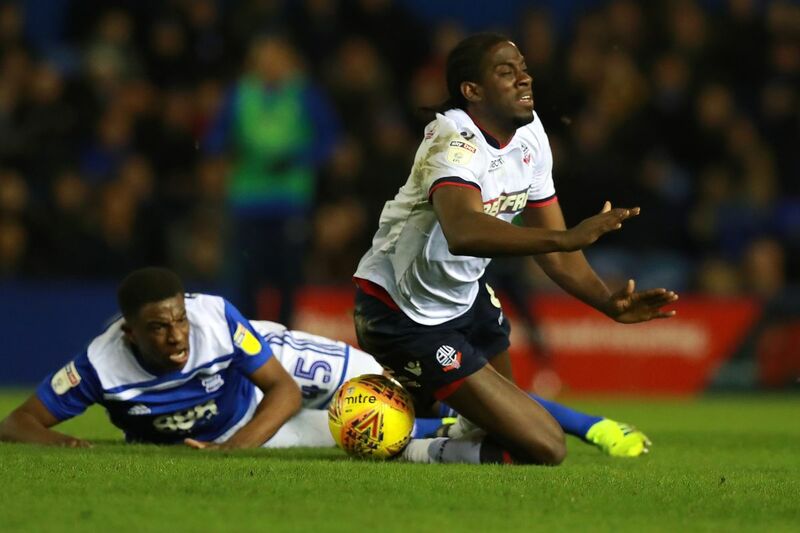 Three consecutive defeats, including two home defeats in the last week against bottom side Ipswich Town and Middlesbrough - who’d gone six without a win previously - leave Bolton nine points from safety with five games remaining. So a defeat here and other results going against us basically confirms relegation. Oh, and Bolton haven’t won in 13 attempts at Derby, who have only lost one of their last 12 home games in all competitions this season. Phil Parkinson names probably the least terrifying side you can imagine going up against at this level of football. Clayton Donaldson ‘leads the line,’ with Sammy Ameobi and Will Buckley on the wings. The only Bolton player who’s made any effort in the last few weeks, 17-year-old Luca Connell, starts in midfield. Bafflingly, Callum Connolly starts at right-back despite Mark Little being on the bench, while there’s still no place even on the bench for Connor Hall, with 33-games-without-a-goal-and-only-fancies-it-when-he-plays-for-Northern-Ireland Josh Magennis preferred on the bench where he’s joined by Joe Pritchard. Frank Lampard names a far more threatening attack, with the dangerous 14-goal Harry Wilson, 7-goal Tom Lawrence and 6-goal Mason Mount in behind 11-goal Martyn Waghorn. And he leaves 10-goal Jack Marriott on the bench. Derby also have former England international Ashley Cole at left-back, although interestingly they’ve lost every game he’s started so far this season. Here are today’s starting lineups. You can follow all the action, and let us know your thoughts on all things Wanderers related, via the Comments section below.